Published by by Constable 14 January 2016. 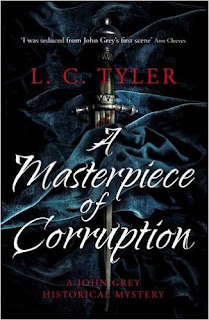 L C Tyler is a crime writer and the current chair of the Crime Writers Association. He grew up in Essex and studied at Southend High School, Jesus College Oxford and City University. During a career with the Civil Service and the British Council he lived in Hong Kong, Malaysia, Sudan, Thailand and Denmark. More recently he has been based in Islington and West Sussex. He is an honorary fellow of the Royal College of Paediatrics and Child Health, of which he was previously Chief Executive. The Herring in the Library (2010), Herring on the Nile (2011) and Crooked Herring (2014). All of these have also been published or are scheduled for publication in the US. The first three have appeared in translation in France. Herring in the Library won the Goldsboro Last Laugh Award for the best comic crime novel of 2010 and Crooked Herring won the same award for 2014. The Herring Seller's Apprentice and Ten Little Herrings were both nominated for Edgar Allan Poe Awards in the US. A Cruel Necessity (2014) begins a new crime series, featuring C17th lawyer John Grey. Outside these series, he has published one humorous (non-crime) novel A Very Persistent Illusion (2009). L C Tyler also writes occasional short stories; one of these ("Richard Remembered") won an Ian St James Award in 1993. 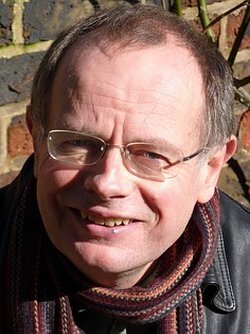 He has subsequently had stories in the Sunday Express and in the CWA and Mammoth Book of British Crime anthologies.